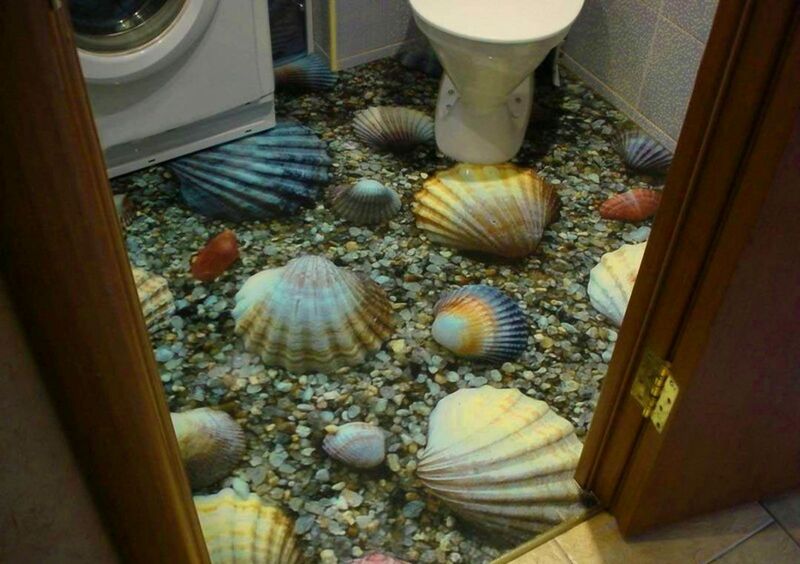 What is 3D bathroom tile? 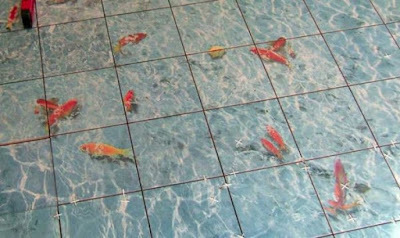 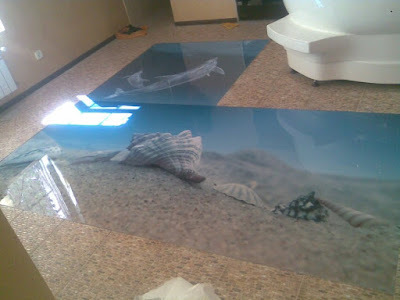 Volumetric 3D floor tile design images has the remarkable property that the image formed on its surface can change when the angle of view changes, that is, the picture becomes actually alive. 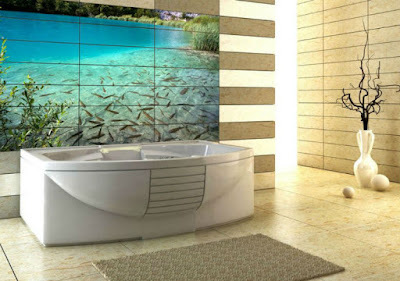 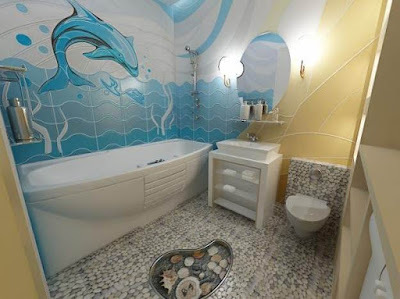 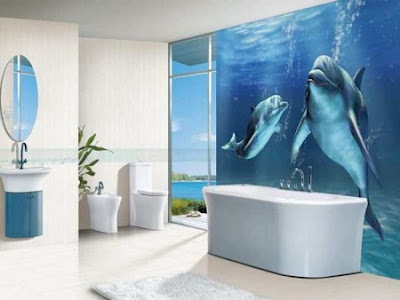 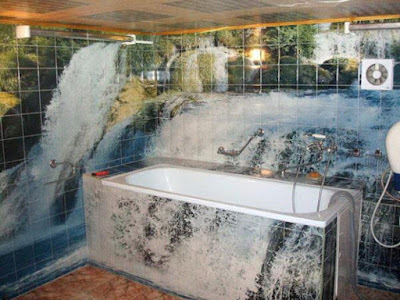 It goes without saying that there will always be skeptics who will argue that using this technology to decorate a bathroom is a waste of time and money. However, supporters of such design much more. 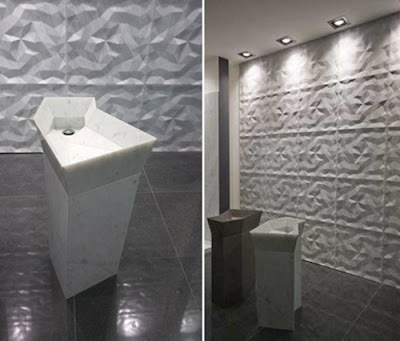 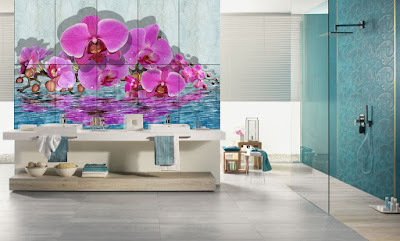 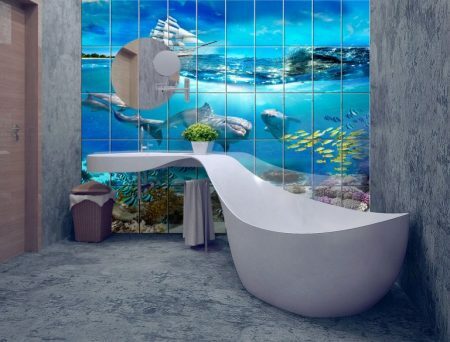 Volumetric 3D bathroom tile, floor and wall, are also very attractive because, along with their unsurpassed aesthetics, they retain all the positive qualities that traditional sanitary ware tiles demonstrate. 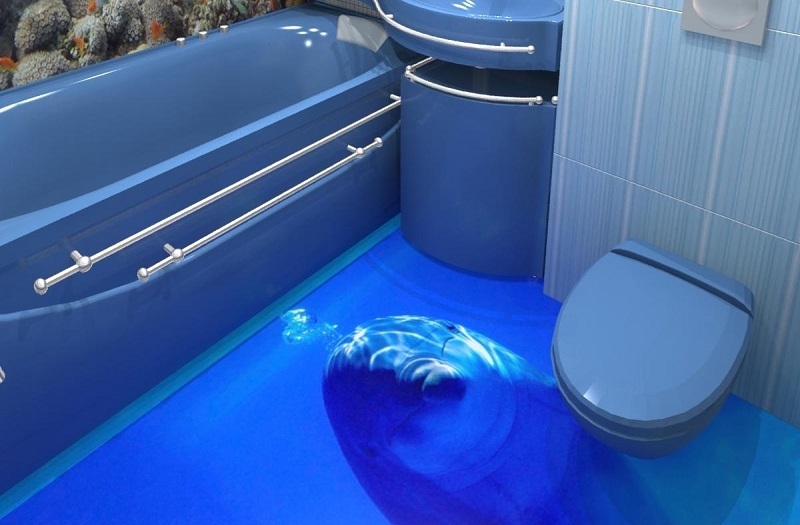 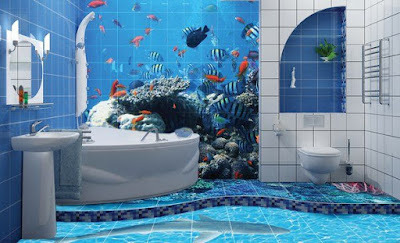 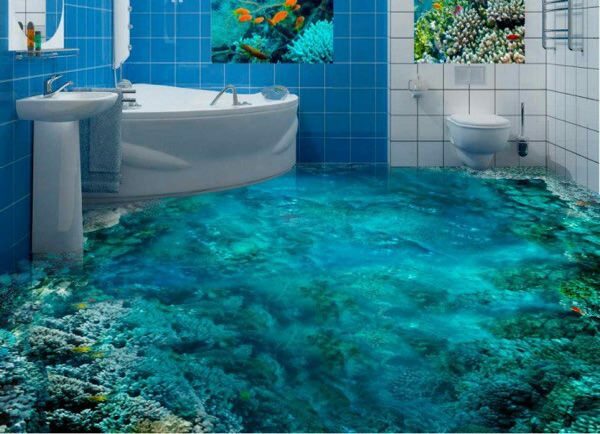 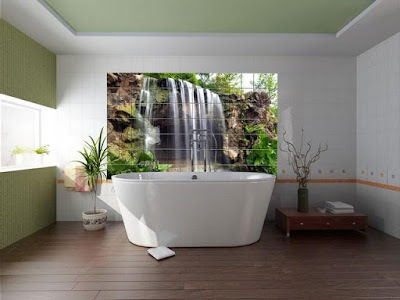 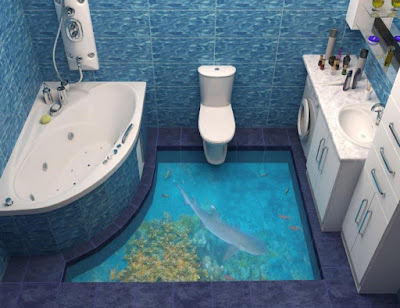 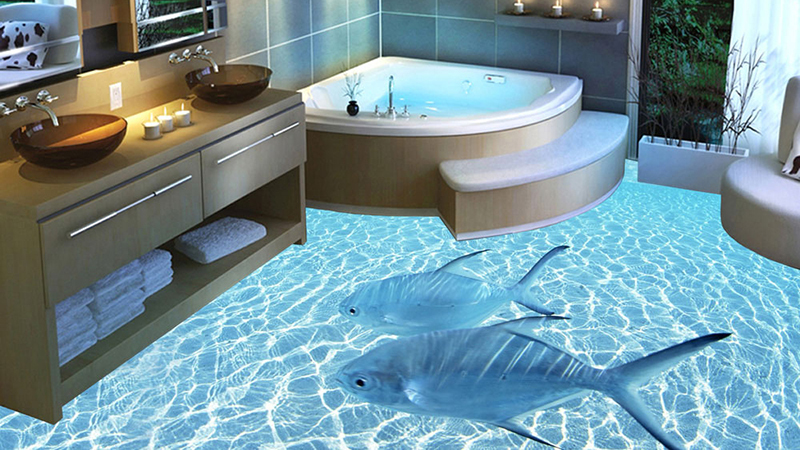 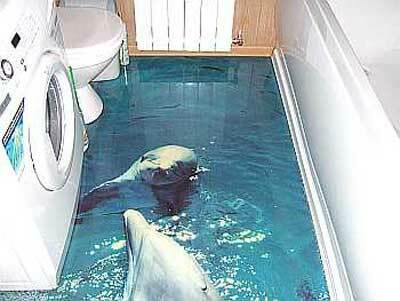 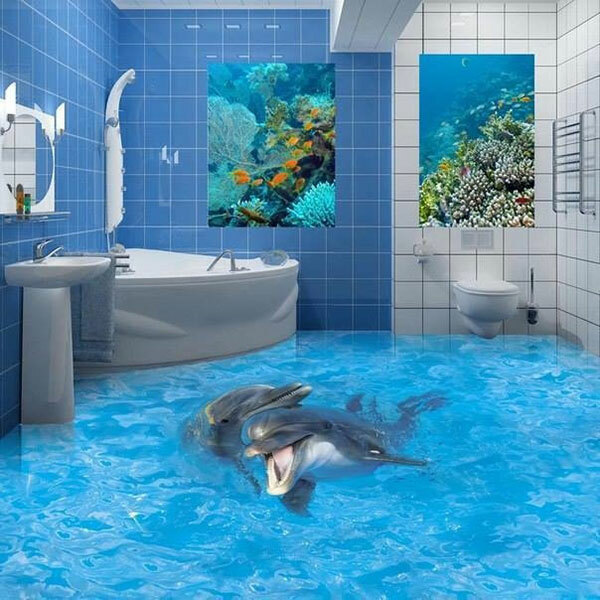 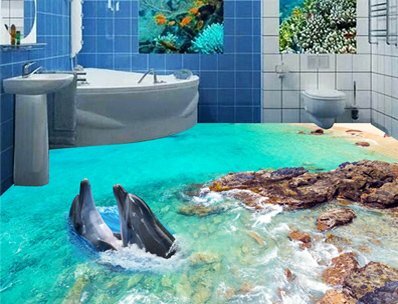 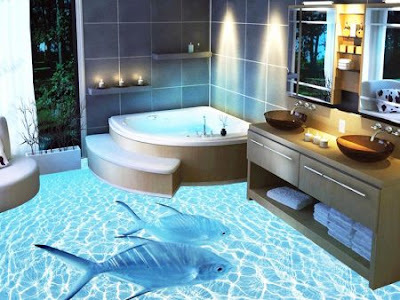 We recommend you to read: How to get 3D flooring in your bathroom? 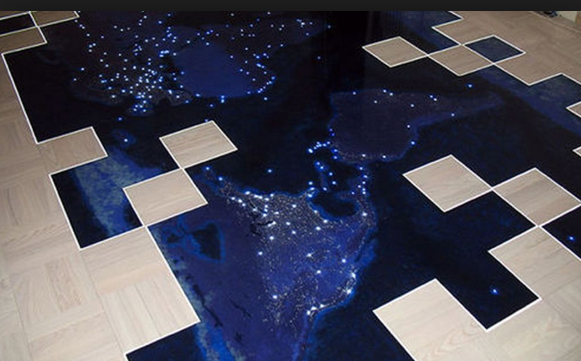 In the process of manufacturing 3D floor tiles, spherical micro-lens technology is used. To this end, a high-strength and waterproof poly-carbonate film with internal structuring is applied to the outer surface, which makes it possible to obtain the effect of a spatial image on a flat surface. 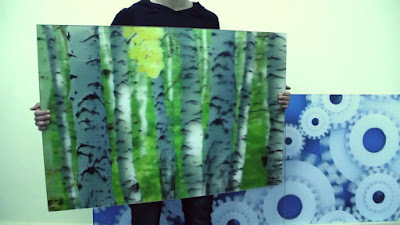 The film is a multi-layer structure. 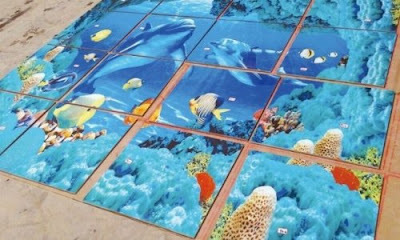 A shock-absorbing coating is applied to the base layer of the substrate, and then a reflective layer is applied and an image-forming polymer lens is applied. On top, everything is covered with a shockproof coating. 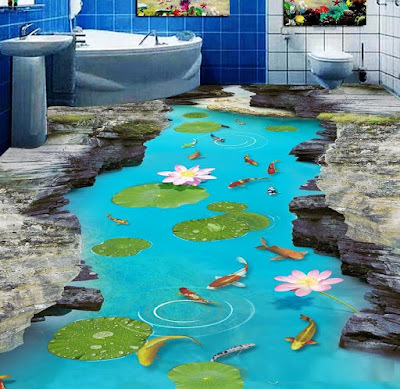 Ceramic 3D bathroom floor tiles can have an arbitrary image design on its surface. Most often, for this purpose, both regular, that is, raster or geometric structures, and chaotic images, the presence of which provide the effect of parallel reality, are used. The image is resistant to ultraviolet rays and under their influence remains unchanged for at least 6 - 8 years. The material can be formed on the basis of fully transparent original film components or it can be produced with a white base. provides durability for at least tens of years. 3D floor tiles can not be cut and bent, as well as clean with abrasive compounds. 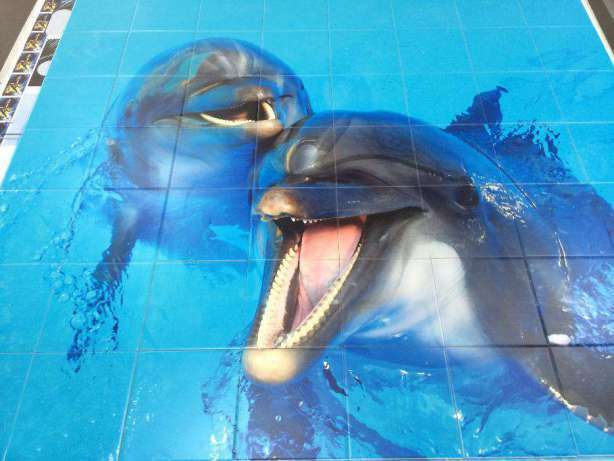 The latter is due to the fact that any even the smallest scratch distorts the gloss, and chipped very negatively affect the integrity of the reproduced image. 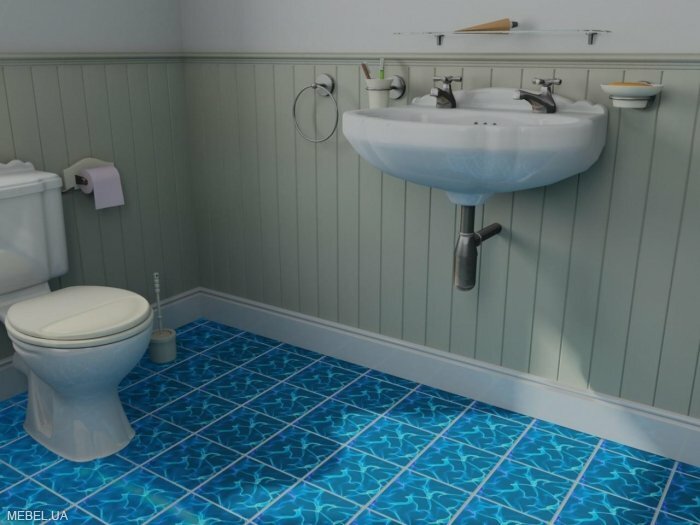 How to choose 3D floor tiles? 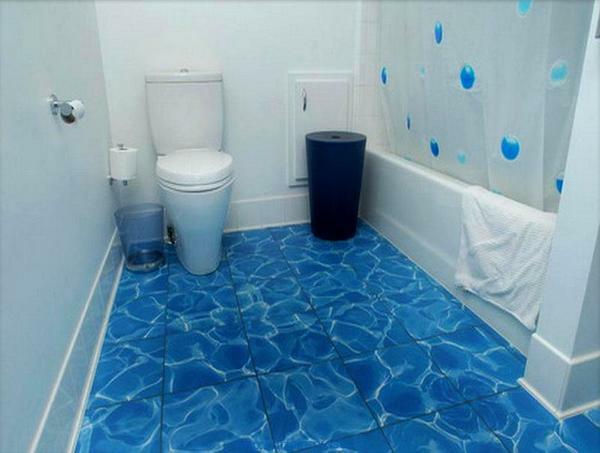 As a general recommendation, you should point out that for a small bathroom it is advisable to pay special attention to the color palette. 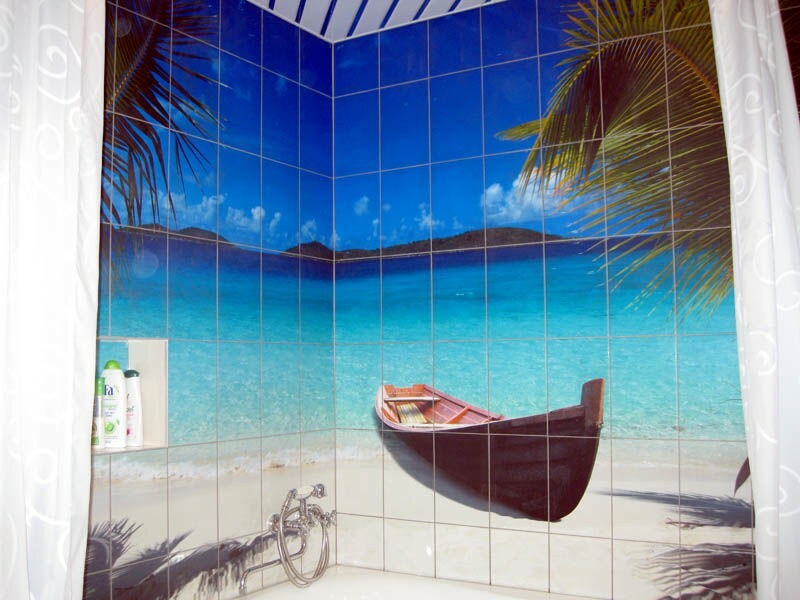 Too bright colors and bright spots visually reduce space and create a feeling of tightness. For the same reasons, the number of accessories (shelves, hooks) is minimized. The location and design of the light sources are also taken into account. 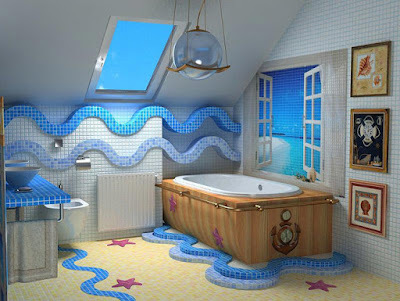 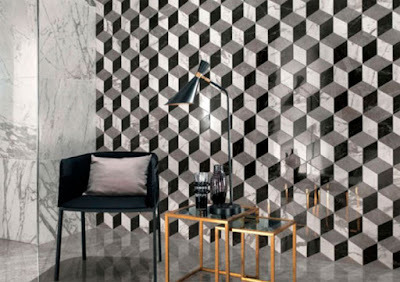 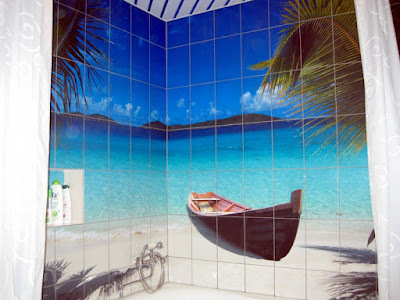 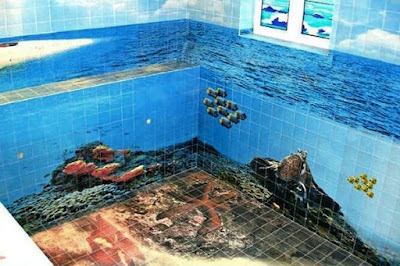 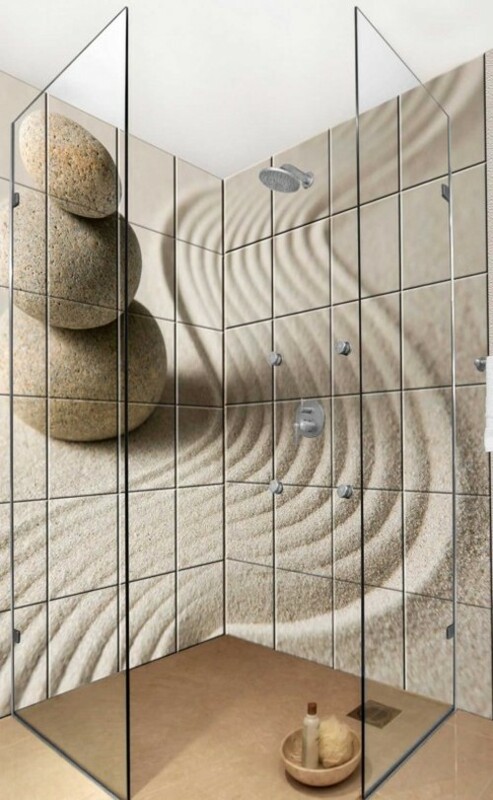 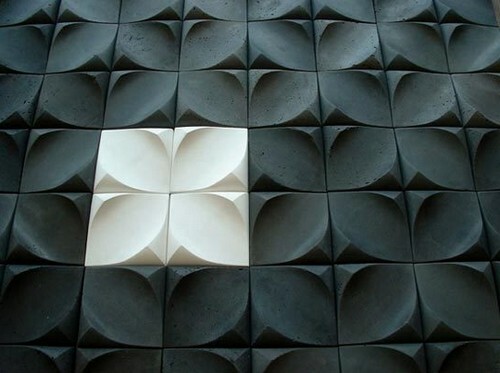 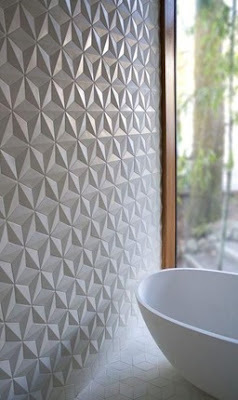 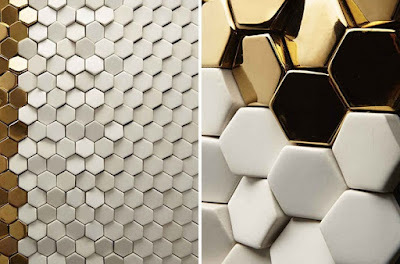 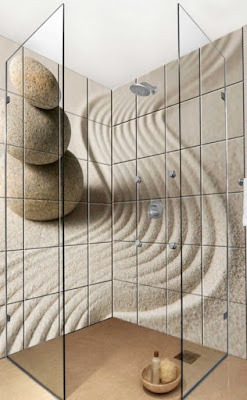 Typically, the designer creates 3D bathroom tile for use as a floor or wall covering. 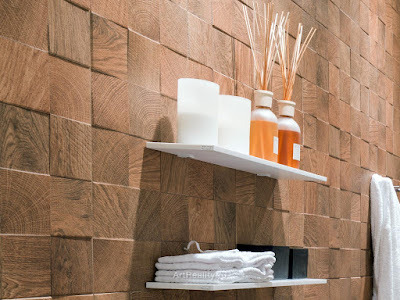 However, strict restrictions on the use of the field of use can not be adhered to, that is, the floor tile will perfectly perform its functions as well as wall finishing provided that the appropriate type of glue is used. 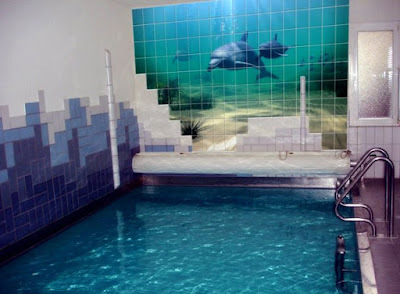 when processing with acidic agents, it is necessary to monitor their time on the surface being cleaned.. 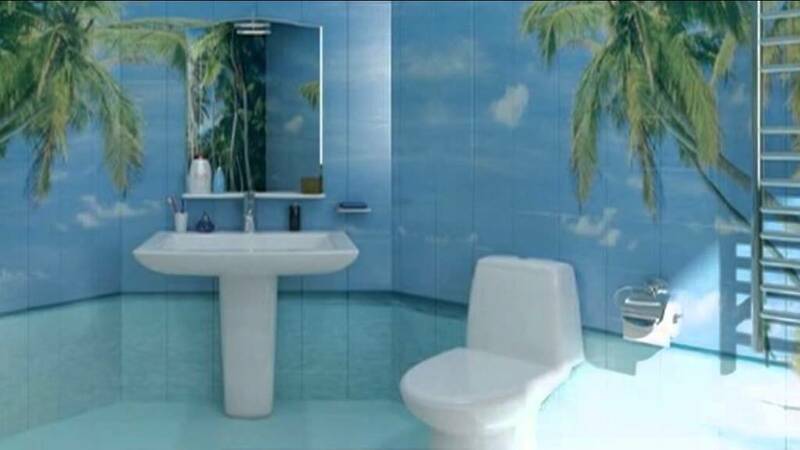 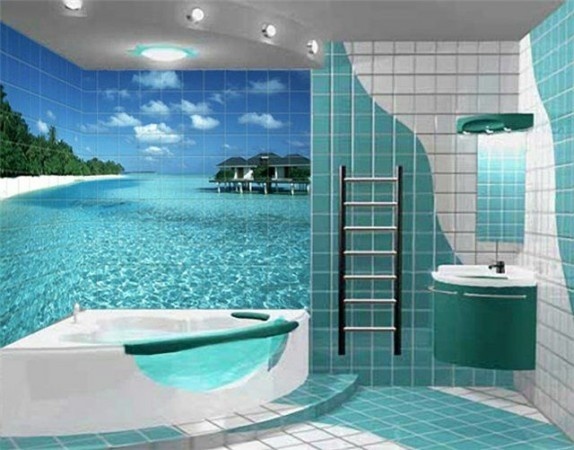 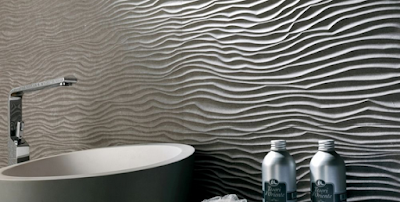 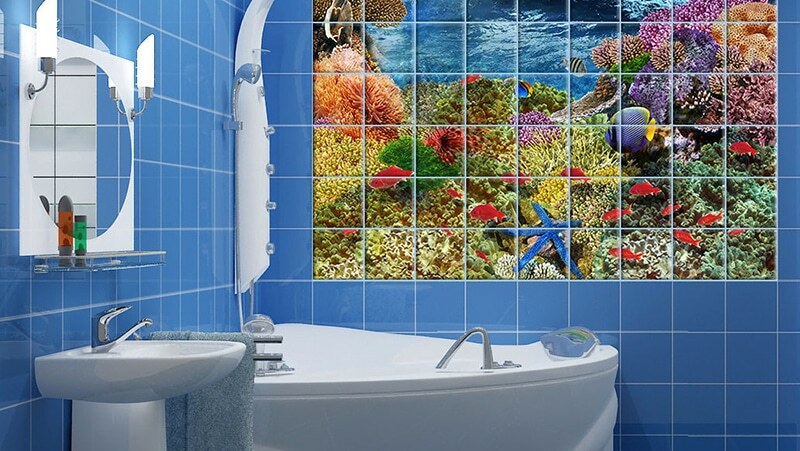 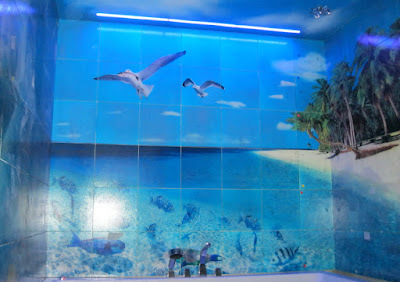 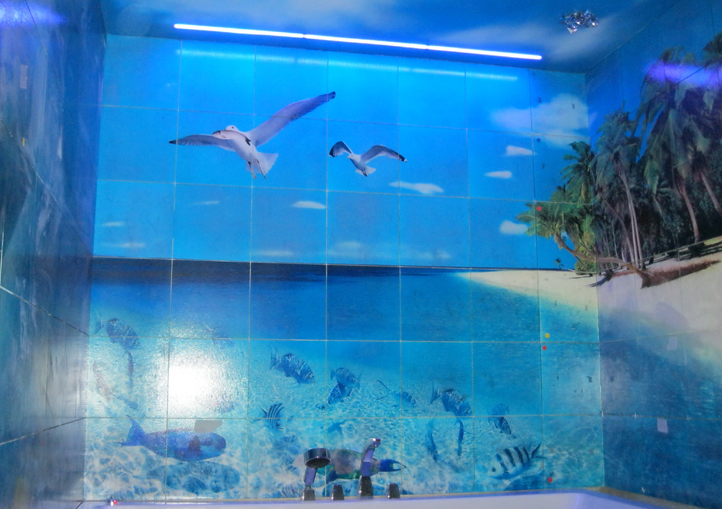 The considered 3D bathroom tile finishing material opens up broad prospects for the design of bathrooms. It is not difficult to install, not demanding to operate and can be recommended for use by a wide range of consumers.